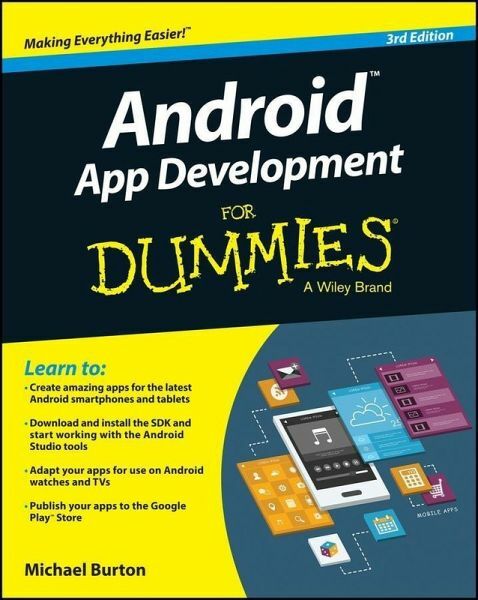 The updated edition of the bestselling guide to Android appdevelopment If you have ambitions to build an Android app, this hands-onguide gives you everything you need to dig into the developmentprocess and turn your great idea into a reality! 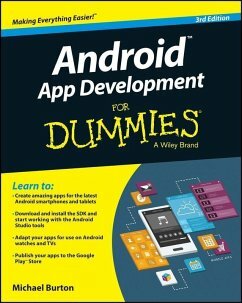 In this newedition of Android App Development For Dummies, you'll findeasy-to-follow access to the latest programming techniques thattake advantage of the new features of the Android operating system.Plus, two programs are provided: a simple program to get youstarted and an intermediate program that uses more advanced aspectsof the Android platform. Android mobile devices currently account for nearly 80% ofmobile phone market share worldwide, making it the best platform toreach the widest possible audience. With the help of this friendlyguide, developers of all stripes will quickly find out how toinstall the tools they need, design a good user interface, graspthe design differences between phone and tablet applications,handle user input, avoid common pitfalls, and turn a "meh" app intoone that garners applause. * Create seriously cool apps for the latest Android smartphonesand tablets * Adapt your existing apps for use on an Android device * Start working with programs and tools to create Androidapps * Publish your apps to the Google Play Store Whether you're a new or veteran programmer, Android AppDevelopment For Dummies will have you up and running with theins and outs of the Android platform in no time. Michael Burton is the Head of Mobile Engineering at Groupon and creator of the popular RoboGuice programming framework for Android. He's the author of the OpenTable, Digg, TripIt, and award winning Groupon Android apps, and has addressed conferences around the world.